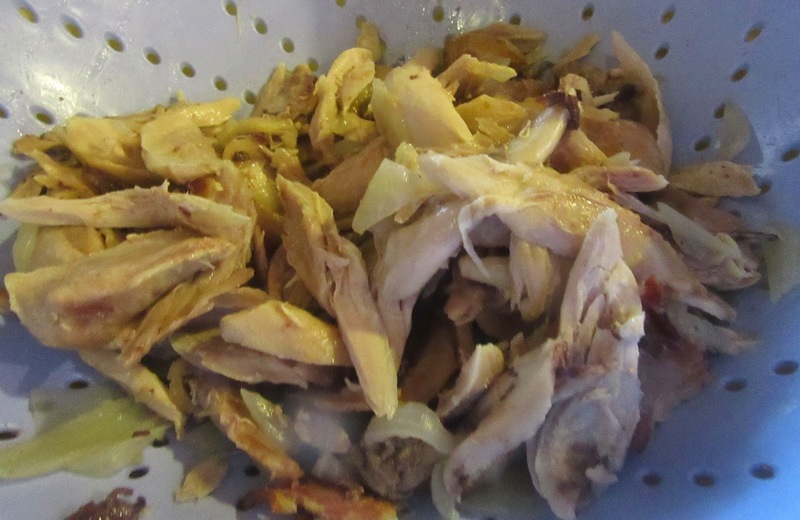 Boil hen in a pot with chicken broth. Fry the bacon to collect the grease. Add finely chopped onions and gently fry. Add this to the hen and broth. Gently boil until the hen is tender. Peel, quarter and core the pears and quinces. Put them in a separate pot filled with water and bring to a boil. Gently boil until almost soft. Then add the fruit to the hen with honey and let cook 4-5 more minutes. Remove from heat. Place the hen in a clean pot. 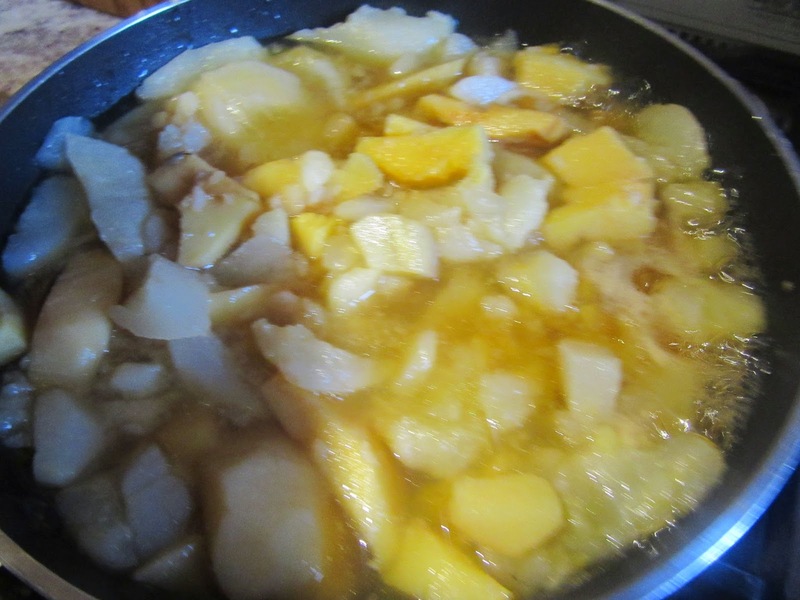 Remove grease from the broth and add it to the hen with the pears and quinces. Crush almonds in a mortar or a food processor. Cook livers in chicken broth. Soak the bread in vinegar and add slices to the almond mixture. Continue grinding until a paste is formed. Add this to the pot with the hen and fruit. 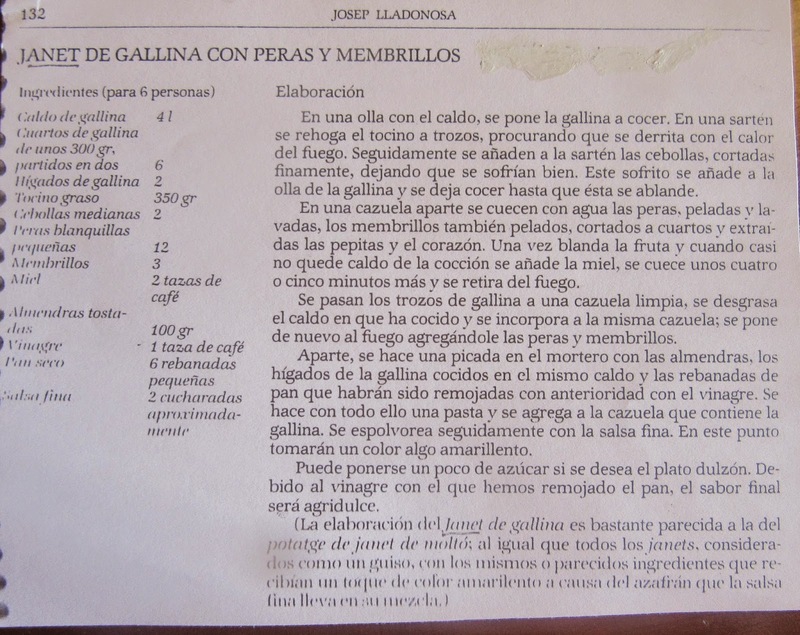 Add salsa fina. The mixture should acquire yellow tones. Add a little sugar if desired. 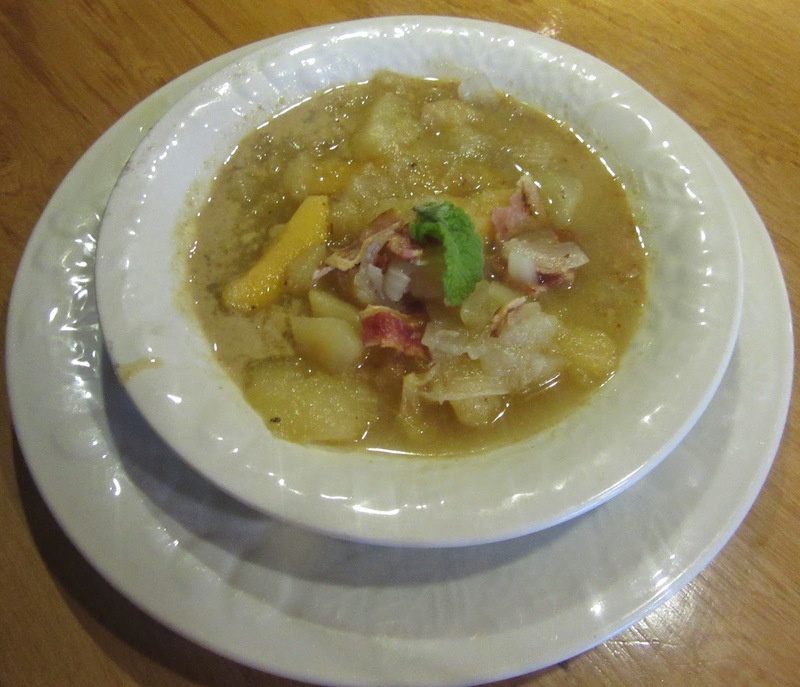 Taking into to account the vinegar in the bread, this dish should have a sweet and sour flavor. 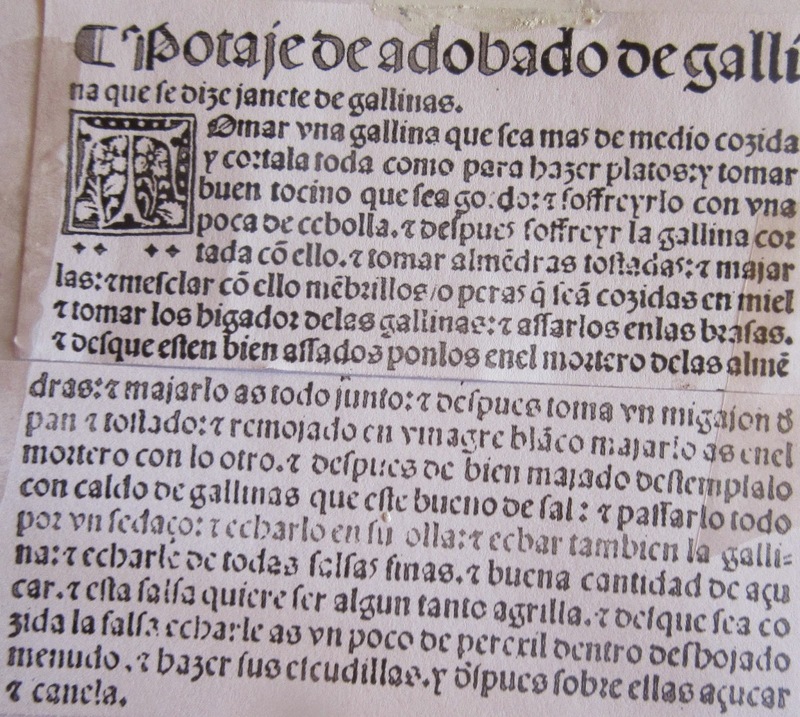 Other interpretations of this recipe are published in blogs titled: Cedaso, Sep 1, 13 and Destemplar, Dec 27, 13.